Ready to pay more at the pump? 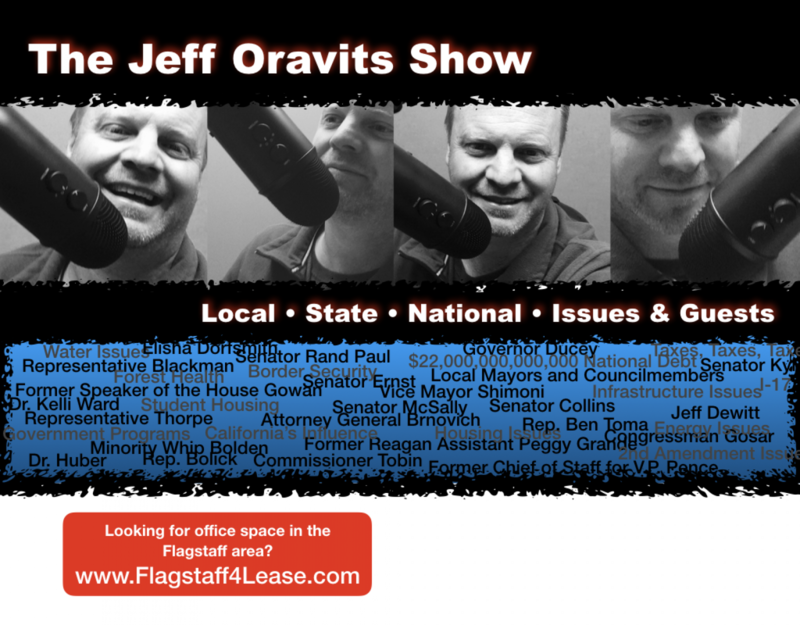 Jeff talks about a statewide gas tax increase of 25 cents per gallon being proposed by a Republican Representative. $5,000,000 per 30 second ad! Kate Delaney, the Sports Princess returns to the show to discuss this weekends Super Bowl. Another large student housing in Flagstaff? The Vice Mayor or Flagstaff, Adam Shimoni returns to the program to discuss. He also addresses former Flagstaff Mayor Jerry Nabours comments from Wednesday’s show. Catch an all new show Friday at 4PM. Rep. Bob Thorpe will give our weekly legislative update.